In my Sepia Scene today I used a Gradient layer and then added another layer, Color Balance, and adjusted the red and yellow to give the sepia tone. Using Adobe Photoshop 7. 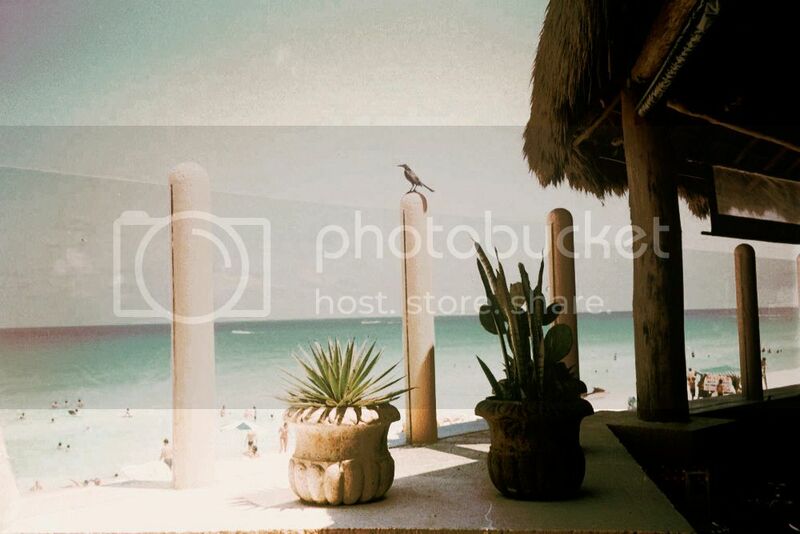 The photo is a photo of Cancun! We sure had a great time there! You know we post on Wednesday for a Thursday meme because in other countries on the globe it's Thursday already! Happy Sepia Scenes! Don't forget to go visit your blogger friends! Quite the amazing shot! Looks like op-art or a modern art rendering to me. Very neat! Hi Mary - I love the treatment/editing on your photo! It's been a few weeks since I've done Sepia Scenes, and since I put "It's A Blog Eat Blog World" on indefinite hiatus, wasn't sure if I'd be doing weekly memes like Sepia Scenes any more. Hope all is going well for you. Have a great Memorial Day Weekend! calm and clean. Makes me think, "I want to stay there and inhale some of its peace." I need lots of time to stumble with my ph elements, before I can think of try this, But I still appreciate you describing how you are doing things in your creative process. oh my the place looks really inviting! nice editing! That is such a nice photo. I really like your processing style. Interesting changes blend so well with the mixture of red and yellow. what a beautiful shot--I know you most have had an amazing trip. Mmmmm, beautiful - there i wanna live! Gorgeous scene. Looks refreshing on a hot day like today. Cameron just told me it's 90 degrees! And it's only May! Nice editing on the photo. Love the way you softened the colros within the sepia effect. I'm wishing I could go to Cancun right NOW. Must be a heavenly place, it just shows on the photo. Thank you Mary for hosting this Sepia Scenes meme. Since I started shooting all digital some years ago I had put monochrome away like an old glove no longer in use. You have encouraged me to reconsider monochrome/sepia and I am remembering and enjoying all over the subtle art of tweaking the exposure, brightness, contrast that brings out shapes and textures and makes monochromatic photography such an expressive media. Love what you did with this pic... I have ventured fulyl into Photoshop yet ...... must get there!!! That's really pretty Mary and I love your new header! Check out the new photo challenge website www.weekdayphotos.com. A new challenge every weekday with a unique design to the website ;).